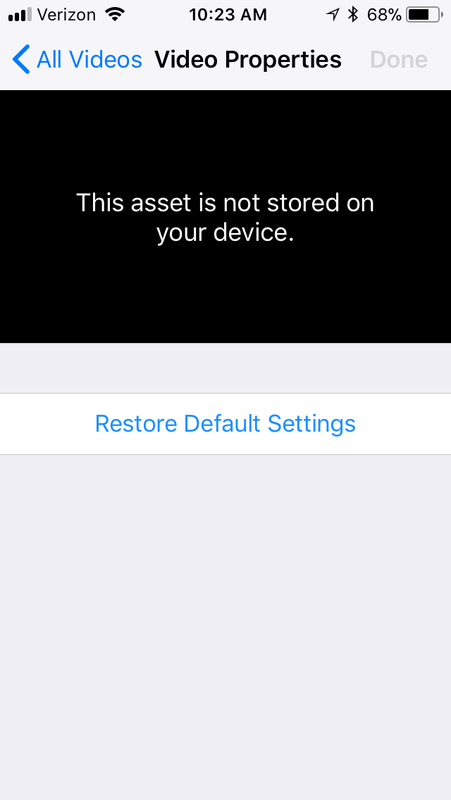 When inserting an asset into Switcher, it is possible to get an error stating that the asset is not on the device. Follow the steps below to fix the issue. 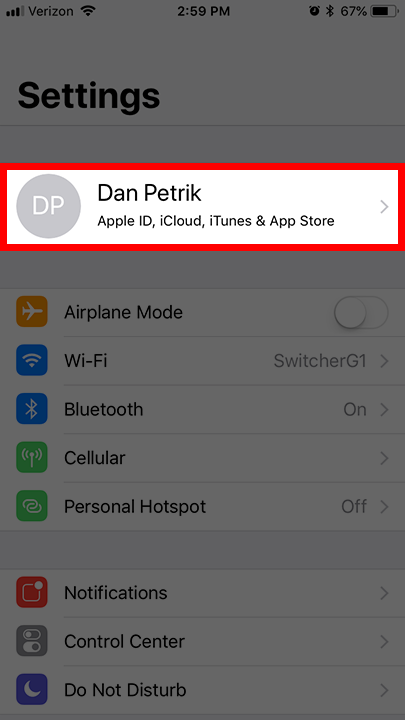 Start by opening the settings on your iOS device and select your name at the top. 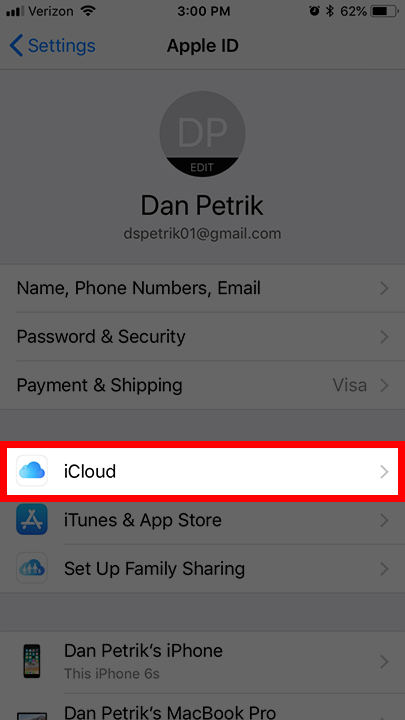 This will open your iCloud, Apple ID and iTunes settings. Now tap on the iCloud option. 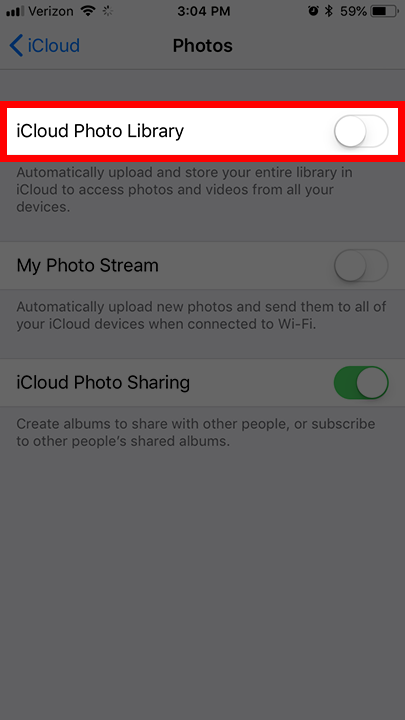 You can disable the option for “iCloud Photo Library” and save your videos directly on the device. 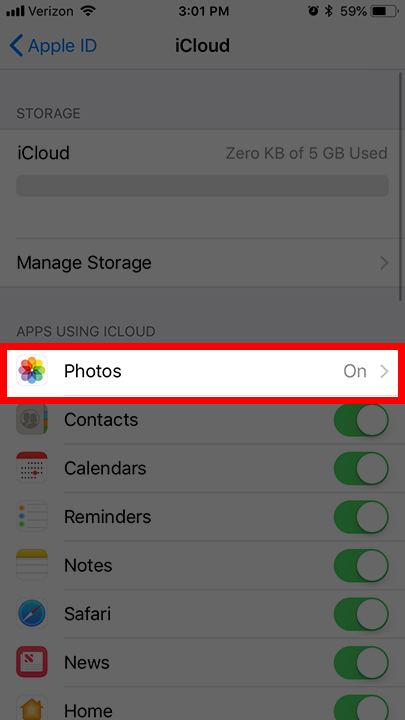 If you have iCloud Photo Library enabled, make sure you choose the option to “Download and Keep Originals”. This way your files will be saved to the iCloud and locally on the device. With “Optimize for Storage” enabled, the device will only store a preview of the picture or video and not the actual file. We will need this file in order to use the asset in Switcher.